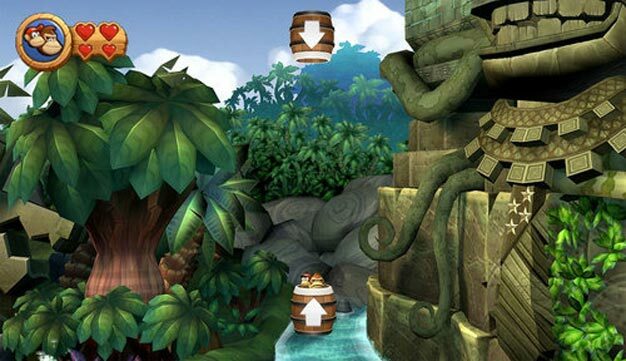 Despite how you may feel about the Billy Mitchell vs. Steve Wiebe Donkey Kong situation, it appears Nintendo decided to honor Mitchell in Donkey Kong Country Returns. An eagle-eyed NeoGAF user spotted a reference (above) to Mitchell in the game’s 3-2 world. Mitchell’s patriotic neckwear is clearly found in the in-game shot above, worn by a giant rock idol. I wonder if there’s a Steve Wiebe reference in the game somewhere. I hope so!